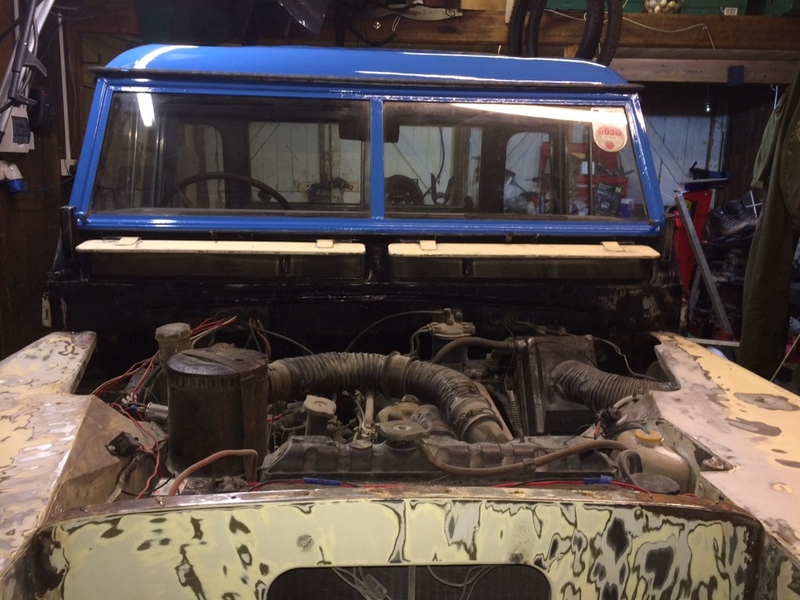 Car 4 is now rubbed down and under cover for painting, so far it’s starting to look nice. Here is a quick pano of the car with its final scheme for now. 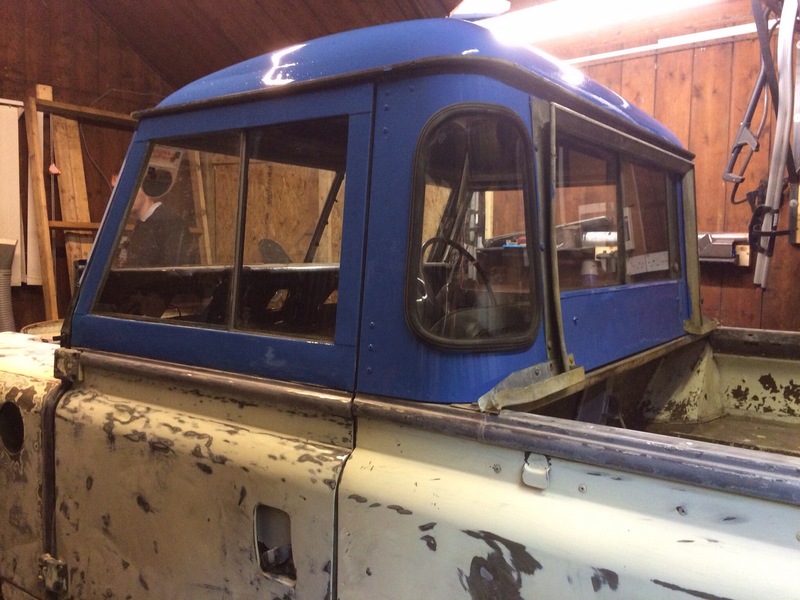 This entry was posted in Painting and tagged 1977 Series 2, Land Rover, painting, Progress, Wirral on October 29, 2013 by landyrebuilds. Wow, what a difference. Is that the same blue paint you are using for your 90? It looks good on the Series. Its actually a different blue, the scheme is going to be 2 shades of blue with red highlights. The light blue is called French Blue and the Dark will be Oxford Blue and i think just a standard red. 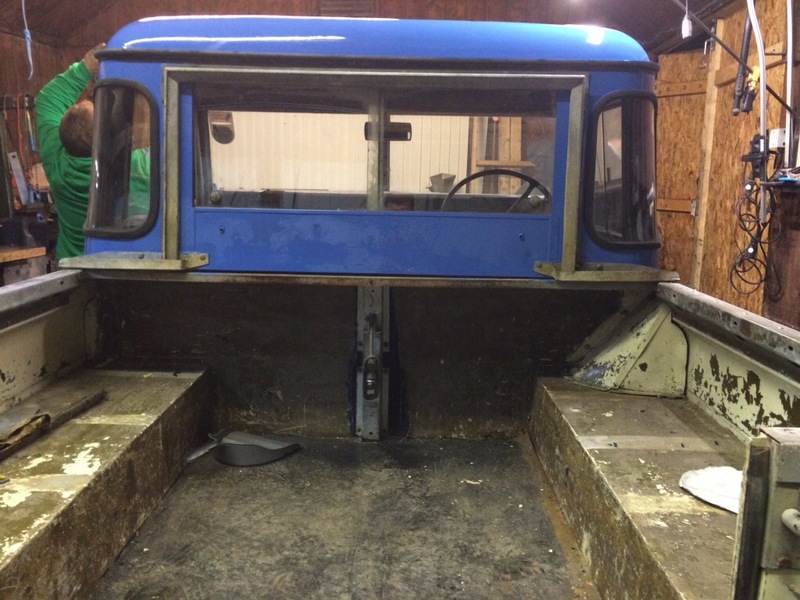 The dark blue is going on today so all being well I should be able to get some pictures of that this evening. I’ve had no broadband for the last week so this morning is the first time I’ve been able to load this page without it timing out. I’ve got a busy day catching up with peoples blogs!